Television and film producers are the unsung heroes of any movie, TV program, commercial, etc. 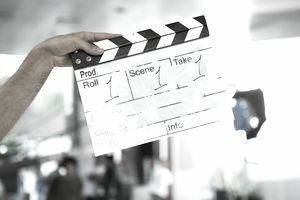 Some of the tasks producers may handle include managing schedules, coordinating locations, overseeing script rewrites, and arranging for financing. If there's a problem to solve or a question to answer, producers take the lead. As you can see, there are many different potential responsibilities that can be part of the producer role. Here is a list of the five primary skillsets producers need to have, as well as attached lists of related skills used by successful producers. You can use these skills lists throughout your career search process. The most important place to incorporate these skill words is in your resume. Try to employ some of these keywords both in your initial summary of qualifications and in the work history section of your resume. You can also use these phrases in your cover letter, mentioning one or two of these skills in the body of the letter. Be sure to provide specific examples of times when you demonstrated these skills at work, as well. If there are specific skills mentioned in the job posting, make a point of echoing and highlighting these in your letter. A third opportunity to mention these skill words is in your job interviews. Make sure you have at least one example of a time you used each of the top five skillsets listed here to share with employers. Of course, each job will require different skills and experiences, so be sure to read the job description carefully, focus on the skills listed by the employer, and tailor your resume and cover letter accordingly. Consider the number of people involved in a film-based project. From script doctors to storyboard artists to actors to craft services to editors - the staff required is huge. Producers are often responsible for hiring. Subsequently, producers need to keep both staffers and the project on track. They create schedules and share information so everyone knows where they need to be and what they need to do. Organization is vital to this role. Come prepared to interviews with examples of times you've created schedules and kept projects on deadline. Once financing is arranged, producers need to ensure that the movie or TV show stays within its budget. Producers help set a budget for every department and then track spending as well. If you're applying for a job, mention the size of a budget you've managed, as well as describing how you successfully dealt with and resolved any budget-related problems. Unexpected problems are common during filming (as well as during the planning stages and post-production). Maybe an actor gets injured, or a location turns out not to work. The script may need unexpected rewrites, or there could even be a transportation strike in the city during filming. Producers are responsible for removing roadblocks and coming up with new plans that get around problems. When people have questions or concerns, producers have answers. In interviews, provide clear examples of your problem-solving abilities. Because producers wear so many hats and are responsible for many varied aspects of a production, multitasking is an essential skill. A producer may be working on the budget in the morning, then scheduling auditions in the afternoon. Being able to easily juggle many responsibilities, and switch from one task to another, is essential. Producers need to have strong written and verbal communication skills. In your job application, you should talk about your communication style. Share examples of how you've shared information and handled communication break-downs. According to the Bureau of Labor Statistics, 134,700 people were employed as producers and directors in 2016; their median annual wage in May 2017 was $71,620. Career opportunities in this field are anticipated to grow by 12 percent by 2026.